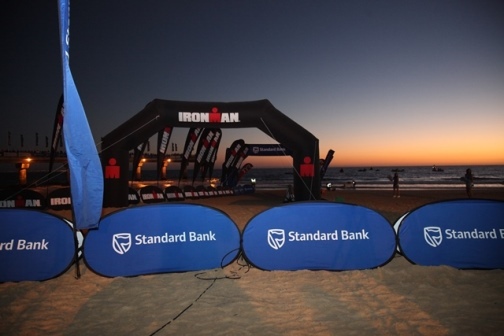 Over 2000 athletes made their way to Nelson Mandela Bay, South Africa for the Standard Bank IRONMAN® African Championship on Sunday 29 March 2015. The race was a gruelling 226km triathlon and is ranked amongst the top five IRONMAN® races in the world. The first male to cross the finish line was Frederik Van Lierde from Belgium who was the clear winner with a time of 8:16:34. Following close behind was Ivan Rana (8:30:44) from Spain with third place going to Bart Aernouts (8:35:58) also from Belgium. Jodie Swallow, the crowd favourite, was the first female winner with a time of 9:02:15 after an exciting battle towards the end. She beat fellow athlete from the UK, Lucy Gossage, who finished in 9:08:52. The third female was Susie Cheetham, also from the UK, coming in at 9:11:41. The Standard Bank IRONMAN® African Championship has attracted professional athletes of the highest calibre from all over the world and is a qualifier for the IRONMAN® World Championship in Kona, Hawaii. The race was full of excitement and there were over 40 000 fans who came out to support the triathletes in their battle to be crowned the IRONMAN® African Champion. Congratulations to all the athletes. We are inspired by your perseverance and commitment to the end. A huge thank you to the athlete’s families and friends who supported them along the way as well as the Standard Bank volunteers who made the event such a success. Standard Bank IRONMAN® 70.3 Durban will take place on the 2nd of August 2015, followed by Standard Bank IRONMAN® 5150 Bela Bela on the 22nd of August 2015. The last triathlon of the year is the Standard Bank IRONMAN® 5150 African Championship hosted by the city of Ekurhuleni on the 1st of November 2015.